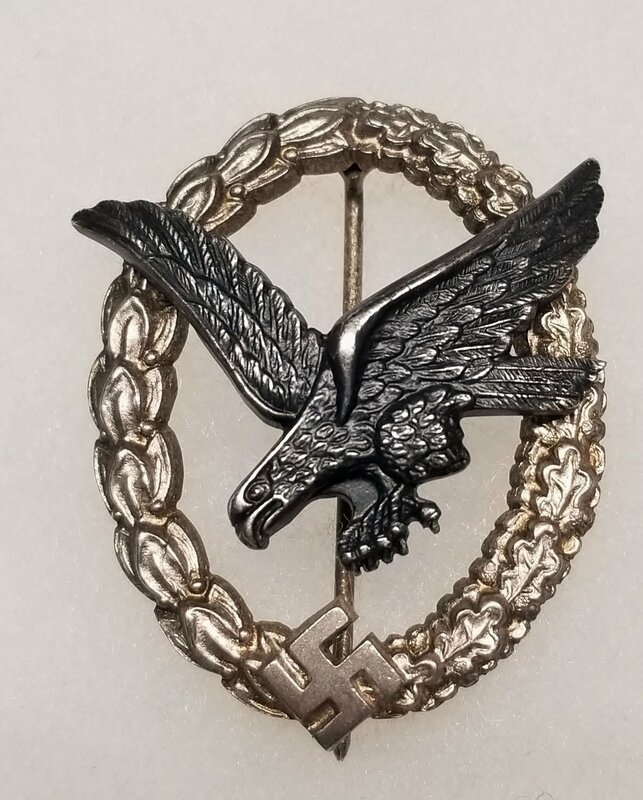 WWII German Luftwaffe Air Gunner Badge by W. Deumer, Lüdenscheid. Badge is of early quality made of tombac while later versions were made of zinc. Fine condition.